Home Articles/Editorials Did the South African Legal System Fail Reeva Steenkamp? Did the South African Legal System Fail Reeva Steenkamp? Oscar Pistorious was recently convicted of Cupable homicide and sentenced to five years in a South African prison. In order to fully break down the ruling it’s imperative that we have a brief understanding of the South African Legal System. South Africa’s legal system is similar to that of the United States as its origins derive from English Common law. Where the South African Law differs from the American System is in its practice and some language. Here in the United States, an accused criminal is entitled to a jury of his/her peers. Generally, that means that if you are accused of a crime, a jury must be selected and empanelled and be a representation of your community, hence why most jury pools are members of an individual’s county. In South African legal system, jury trials were abolished during the apartheid era and they have instead adopted a system where criminal trials are heard before a judge and two “assessors” who are charged to help the Judge analyze the case. With a Judge analyzing the case, rules of evidence are generally a little more lax with more evidence being admissible as the judge is able to discern which evidence is relevant or prejudicial and analyze the case based on the facts and evidence presented to them without biased. The facts presented to the judge in the Oscar Pistorious case are very muddy and the prosecution relied on circumstantial evidence to prove its case. On February 14, 2013, after entertaining some guest Oscar Pistorious heard a noise coming from the bathroom of his home. Oscar, believing that his girlfriend was asleep, took his unregisterd firearm and shot the at the bathroom door. Afterwards, he used a cricket bat to break the door of the bathroom open, and found his girlfriend lying there dead. Upon arrival of officers, Oscar confessed that he shot and killed his girlfriend. The prosecution opened its case on March 3, 2014, charging Oscar Pistorious with murder and other lesser crimes. Similar to American law, the definition of murder in south Africa is the unlawful killing, with malice aforethought. Malice aforethought is an intent to kill which is premeditated in nature. In order to prove that you have murdered a person the prosecution must prove all elements of the crime. The elements of Murder, based on the common law are, 1) Unlawful killing, 2) of another human, 3) with malice aforethought. Every jurisdiction in America has adopted some version of murder adding elements and degrees, but since my knowledge of south African law is so limited, I am going to go with the common law definition and elements. In the Oscar Pistorious case, the only element for murder that was met was that another human was killed. The prosecution failed its burden of showing that the killing was made with malice aforethought. Premeditation doesn’t take days or weeks, but instead could arise in the few seconds prior to the murder, but this element is essential in every murder case. The prosecution tried to prove that Oscar knew what he was doing and premeditated the murder based on text between Oscar and his girlfriend, showing that Oscar was a jealous man and that his girlfriend feared that in his jealousy he would one day hurt her, but they had no direct evidence to prove that the murder was premeditated. Based on the testimony of witnesses, it is of no question that there was a loud gunshot, followed by banging of a cricket bat. But there was differing testimony as to whether there was a man or a woman screaming. Based on this evidence and testimony of psychologist, the Judge ruled that Murder was unreasonable and instead found Oscar guilty of Culpable homicide. “Culpable homicide” is similar to American Manslaughter and has been defined simply as “the unlawful negligent killing of a human being”. Because this killing doesn’t require any intent, it is substantially easier to prove. In this case, the judge ruled that Oscar was guilty in Culpable Homicide as a lesser included, therefore the prosecution had nothing further to prove than their original case in chief of Murder. In south Africa, culpable homicide generally carries a maximum sentence of 15 years. The judge here sentenced Oscar to 5 years in prison which can be satisfied by doing 10 months in a penitentiary and serving the rest of his sentence under house arrest, although the public demanded anywhere from 10-15 years. In my opinion, the judge was fair in her ruling. Although Oscar is a public figure, its imperative to understand that this was his first offense. 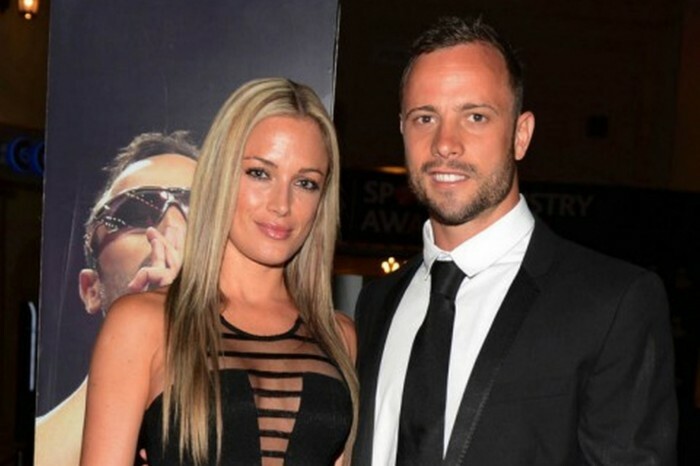 Further, He was honest with officers from the beginning stating that he killed his girlfriend Reeva Steenkamp. Often times during the trial it was noted that Oscar was seen throwing up, crying hysterically and seemed remorseful. Based on the facts I’ve read I believe the ruling was fair. Although there are still questions for what happened at the Pistorious residence that Valentine’s Day night, he was not convicted of murder. As a first offender, a judge and two assessors felt that his sentence was fair. We must remember that the purpose of prison is not to punish, but it is instead primarily to rehabilitate an individual and integrate them back into society and secondarily used to prevent others from committing crimes of a similar nature. 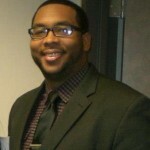 Claude E. Laroche, Esq is a recent graduate of the Michigan State University College of Law. Growing up, Claude was always into sports; experimenting with football, wrestling, and track and field. Although he has left his dreams of being a star NFL tight end behind him, Claude still pays great attention to the sport with his favorite team being the New York Jets.